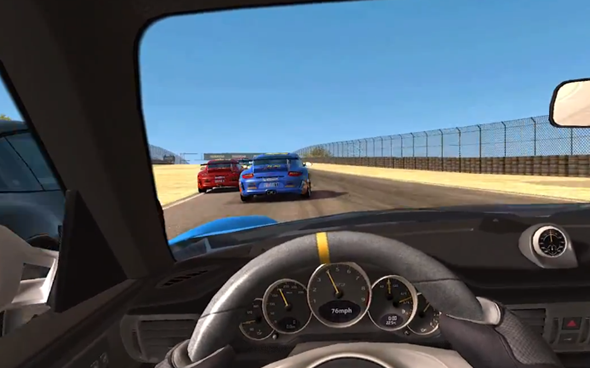 EA’s newest game studio Firemonkeys, the result of the recent merger between Firemint and Iron Monkeys, has just released the trailer for their newest game, Real Racing 3, the Android arcade-racer which promises to push the boundaries of modern games. The Real Racing series was developed by Firemint in 2009 and now Firemonkey is excited to make the third installment of the game the best ever. Featuring all-new licensed tracks and a robust lineup of licensed cars from all-new manufacturers, Real Racing 3 is sure to deliver a rich, next-generation racing experience with the most beautiful circuit racing available on Android devices. Firemonkey have announced some of the major features of the game. The most notable were the use of new-licensed cars that would be an exact replica of the real ones. All of your favorite manufacturers like Porsche, Dodge and Audi are present. Firemonkey are also going to be using real locations and tracks for their races. These tracks have been extensively detailed and provide the players with a very realistic experience. Then is the multiplayer mode which promises to be one of the best on any Android game. There are a total of 22 drivers which compete in a single event and that means that you can battle it out with 21 drivers from all around the world for the ultimate glory. When I first saw the trailer I was shocked as these are the type of graphics that I expect a game made either for the Xbox 360 or Playstation 3 to have, but I can assure you that this game will be releasing for the Android. The bad thing is that we may have to wait for some time as no official date has been announced, but we do know that it will be released in 2012. While you wait for the release of Real Racing 3 why not head over to the Google Play store to download Real Racers 2, which is available for $0.99 for a limited time only.